The Ministry of Planning and Investment (MPI) yesterday hosted the launching ceremony for the project ‘Development of the National Investment Information System (NIIS) for Private Sector’ in Hanoi. The project will be jointly conducted by MPI and the Korea International Cooperation Agency (KOICA). The project aims at building a national database on facilitating foreign investment into Vietnam and vice versa, which will then become the foundation for policy formulation and implementation. This new system will be designed to integrate and share the database with other national information systems. The searching tool and information analysis function to aid investors in seeking opportunities to expand their business in Vietnam will also be a highlight. Speaking at the launching ceremony, Deputy Minister of Planning and Investment Vu Dai Thang expressed his gratitude towards KOICA, saying that this project is going to greatly contribute to the development of an electronic government in Vietnam, the administrative reform, and the transparency of investment procedure, leading to extreme convenience for international investors to enter the Vietnamese market. Mr. Kim Jinoh, National Director of KOICA, highly appreciated this project and affirmed that it is one of KOICA’s priorities in adopting the policy of the Republic of Korean (RoK) to expand southwards, with Vietnam being one of the focuses. RoK and Vietnam established diplomatic relations in 1992. At the moment, the two are strategic partners. RoK is now the largest Foreign Direct Investment (FDI) partner in Vietnam with registered capital of nearly $64 billion, the second largest bilateral development and tourism partner, and the third largest trading partner. Both countries aim at increasing their bilateral trade to $100 billion in 2020 while RoK maintains the leading position among FDI partners in Vietnam. In the cooperation strategy between the two nations in 2016 – 2020, there are four prioritized fields of transport, public administration, healthcare, and education. The project ‘Development of the National Investment Information System (NIIS) for Private Sector’ belongs to the second group. 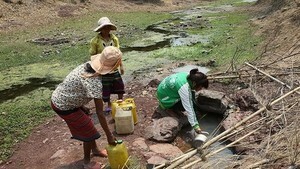 This project uses KOICA’s grant aid, managed by MPI. It was approved by the Prime Minister in Decision No.1310/QD-TTg, consisting of the Consultation section, the System Construction section, and the Project Management section.